The costume was homemade! Sleigh was made by using a wagon. 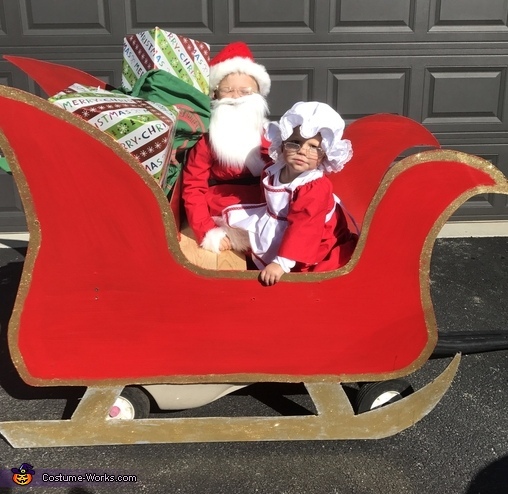 The Santa suit and ms Claus outfit were hand sewn. We added small deals with the santa sack filled with present. Had music playing "here comes santa" my son also handed out candy Kane's.